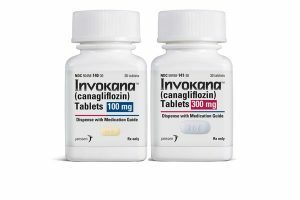 Invokana (canagliflozin) is a diabetes mediation typically prescribed to help patients with type 2 diabetes control their blood sugar levels. It belongs to a class of drugs known as SGLT2 inhibitors which work by supporting the ability of the patient’s kidneys to remove glucose from the bloodstream. In 2015, however, the U.S. Food and Drug Administration (FDA) warned that Invokana and other medications in the same class may cause a buildup of acids called ketones in the bloodstream which can lead to a condition known as ketoacidosis. This drug may also be linked to an increased risk of kidney failure and heart attacks. 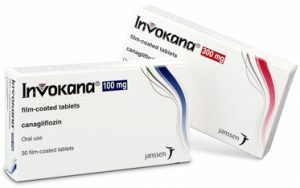 Identified by the “CFZ” marking, Invokana is available in 100mg and 300mg tablets. 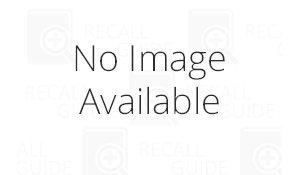 Uses: As an adjunct to diet and exercise to improve glycemic control in patients with type 2 diabetes mellitus. Side effects reported include low blood pressure, vomiting, diarrhea, or excessive sweating. Low blood sugar (hypoglycemia) may also occur. Symptoms of low blood sugar include headache, hunger, sweating, irritability, dizziness, nausea, an increased heart rate, and anxiety or shakiness. More severe side effects have also been reported by patients using Invokana. These include a higher risk of bone fractures, lightheadedness, pain or burning upon urination, genital infections (with symptoms like pain, burning, itching, redness, swelling, odor, or discharge), pain or sores in the legs and feet, dehydration, kidney problems, and ketoacidosis. Ketoacidosis and kidney problems have both become significant concerns surrounding this medication. It has lead to several hospitalizations and complaints filed with the FDA. Symptoms include nausea, vomiting, stomach pain, confusion, unusual or excessive drowsiness, and trouble breathing. Symptoms of kidney problems may include urinating less than usual or not at all, swelling in the feet or ankles, and feeling tired or short of breath. Invokana should not be used by patients who have severe kidney disease, who are on dialysis, or who are pregnant or breastfeeding. People with other conditions including kidney or liver disease, a history of bladder problems, low blood pressure, electrolyte imbalances, high cholesterol, or diabetic ketoacidosis should consult their doctor before using it. The FDA received 20 reports of patients experiencing ketoacidosis while taking Invokana between March 2013 and June 2014. These adverse events are listed in the agency’s Adverse Events Reporting System (FAERS). All 20 of the patients named in the reports required either emergency room treatment, admission to the hospital, or both in order to treat their ketoacidosis. Although it can occur in any diabetes patient, a review of the adverse event reports in the FDA’s database revealed that the ketoacidosis suffered by the patients taking this drug was not typical of patients with type 2 diabetes. Specifically, their blood sugar was only slightly elevated. Although major illness, reduced food and fluid intake, and a reduced insulin dose may be related to the ketoacidosis episodes research has not yet confirmed a link. In addition, an analysis of nine clinical trials revealed a slightly higher risk of bone fractures. This risk appeared to increase after only a few months of taking the medication and occured despite relatively low impact to the bones. A separate study indicated that Invokana may also cause a loss of bone density in the hip and lower spine which can lead to a greater risk of hip and spine fractures. On September 10, 2015, the FDA released a drug safety communication addressing the risk of bone fractures and the loss of bone density in the hip and spine. The FDA has also issued a safety alert warning that discusses an increased risk of leg and foot amputations required for Invokana patients. Most of the amputations documented to date involved the removal of one or more toes. However, at least one study failed to find an increased risk in the patients it studied leading the FDA to continue their evaluation. 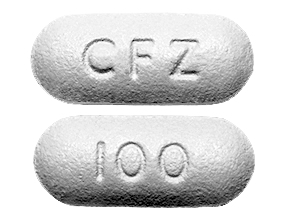 From March 2013 to October 2015, the FDA received 101 confirmable case reports of patients who suffered acute kidney injury while using Invokana (73 patients) or a closely related drug, Farxiga (dapagliflozin). Nearly all required hospitalization to treat their injuries. Twenty-two patients required treatment in the intensive care unit. Four patients died, two from heart-related conditions. Fifteen patients required dialysis because their kidneys could not handle the task of removing waste products from the bloodstream. While two-thirds of the patients taken off the medication recovered, 11 reported that the damage to their kidneys was permanent. Several lawsuits have been filed concerning the medication’s involvement in cases of kidney disease, heart attacks, and ketoacidosis. The lawsuits claim that if the manufacturer – Johnson & Johnson – had properly warned the injured patients’ doctors about the increased risks associated with Invokana the doctors would either have prescribed a different medication or would have monitored the patients’ heart and kidney functions more closely.